Cabanas, lounge chairs, daybeds, bar. Nestled at the grand entrance of the Venice-themed Venetian is TAO, one of Las Vegas' premier and well known night clubs. On an average night, a large snake of people, dressed in the typical club attire, forms and wraps around the length of the hotel's foyer entrance. What these poor souls waiting in line for hours equipped with high heals and stiff suits don't seem to know about is the party taking place past the casino, poolside in the night air. Set deep within the Venetian's extensive beach area is TAO Beach (or so says the giant writing at the bottom of the pool), the outdoor extension to the popular TAO night club. If the ambiance and classiness of one of the hotel's many pools isn't cutting it for you, TAO Beach presents a private, Balinese-style getaway that transports its guests to a tropical oasis amidst a city strewn thick with construction. Decorated with 14-foot fire columns and palm trees that stretch upwards of 40-feet, visitors can lounge on any of the venue's many day beds and soak in the desert sun. 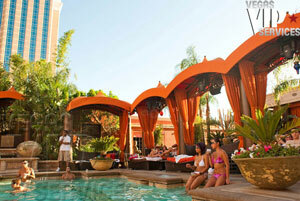 For a price, TAO Beach offers twelve private cabanas with poolside views. Each secluded shelter is outfitted with built in air-conditioning, access to WiFi networking, high def televisions with attached gaming systems, a mini-bar filled with your choice of liquor, and a DVD player. While most people stay poolside to escape the world's constant need for technology, it's always nice to have the option to stay connected if the desire arises. On top of five-star amenities within the cabanas, TAO Beach is home of the TAO Asian Bistro (which offers an extensive menu of appetizers, grilled delicacies, and sushi) and a 30-foot bar, stocked with the freshest of ingredients. For individuals wishing to make the absolute most of their stay at this island-esque setting and remain guilt free, TAO Beach comes equipped with an ordained minister. An odd choice for an area most likely brimming with sin, but at least the sinful have a person to go to if they wish to awaken the next day spiritually refreshed. Once the weekend sun dips below Sin City's horizon, TAO Beach transforms into an eclectic mix of colorful lighting, DJ house music, and a slew of friendly mingling – bringing the usual club atmosphere out of the stuffy room and into the crisp desert air. While the venue pales in size compared to some of the other outlying area's pools, TAO Beach offers an experience brimming with Vegas' usual party atmosphere without loosing its elegance. Considering that there is absolutely not shortage of resort-style pools in Vegas, it's imperative that a place like TAO Beach separates itself from the rest. 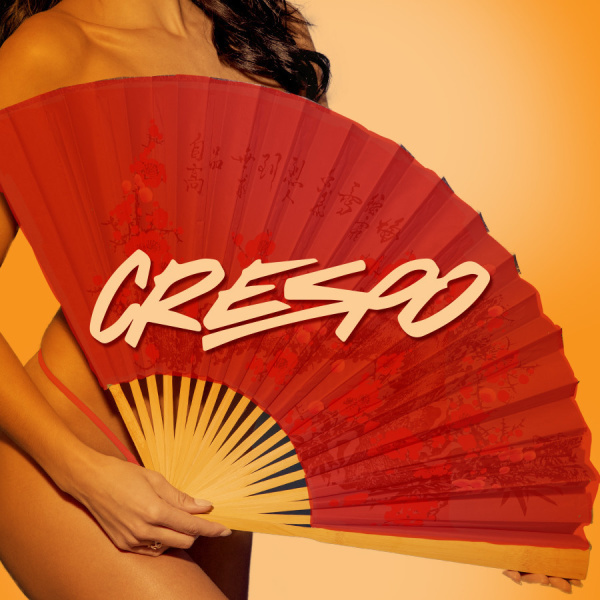 During the day, TAO is reminiscent of most Vegas pools; its intimate setting during a weekend night, though, gives it a flair that creates a unique experience. Set amidst a parameter of greenery, TAO Beach lies just outside the Venetian's public pools but is still able to offer up a feeling of isolation from the rest of the hotel guests. 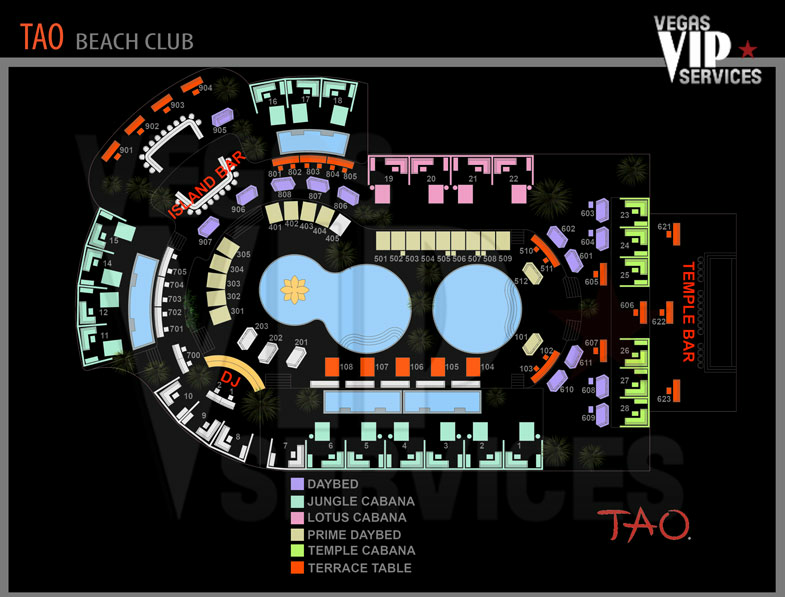 Contact Vegas VIP Services to reserve your Cabana at TAO Beach Las Vegas. If you have never seen LMFAO hosted pool party at Venetian pool, you have never seen a pool party.